The fight between French police and Jihadists in Saint Denis was so violent, that part of the building collapsed and carpenters were moved in to hold build structures to shore up the building as the enquiry proceeds (including DNA collect). It was a gory fight: one Jihadist got an exploding grenade in the belly, spilling his unworthy guts all over. The shootout was so severe, it’s not clear whether 2 or 3 terrorists were killed. One of the corpses was so riddled with bullets, it was not clear who he was. He was identified by his prints. It turned out to be the most wanted terrorist in the world, 28 year old Abdelhamid Abaaoud. This Belgian Muslim, native from a Jihad city in Belgium, organized many successful attacks (at least 6) and several were carried out, including the ones in Paris last week. His ascent in the Islamist State was fast. Interestingly he went in and out of Europe in the last few months, although he had the time to drag for Western TV many bodies behind a SUV. That Abaaoud could come and go at will condemns the present European security system. Europe needs a kind of FBI or FSB. Once again, more, and fiercer United States of Europe are needed, here purely for security reasons. The commando was planning two attacks against Paris’ largest and most famous department stores (apparently a tip from Moroccan intelligence helped). French forensic experts are examining remains of the woman who blew herself up. She is believed to be Islamic State’s Hasna Aitboulahcen. The Frenchwoman, aged 26, was heard engaging in an hysterical exchange with police shortly before she triggered a suicide belt. At some point, she screamed: “HELP ME, HELP ME, HELP ME!” to the police, which, in reply told her to come out hands up. Aitboulahcen, a cousin of Abdelhamid Abaaoud, was “extrovert”, “bubbly” and a “bit lost”. “She didn’t look like a suicide bomber and she drank alochol,” one of her young neighbours at the Impasse du Dauphin told the local newspaper Le Républicain Lorrain. “We saw her quite often and we called her the cowgirl because she always wore a large hat.” She was a “tomboy” who dressed in jeans, trainers and a black hat until she began wearing a niqab eight months ago. Analyzing her patterns from various surveillance led the RAID (French SWAT) to attack at 4:20 am a building full of low lives. 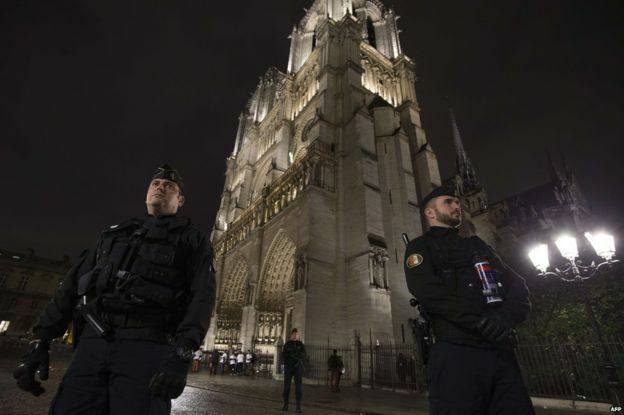 The French Parliament has extended the state of emergency for a further three months. Hopefully things will be taken more seriously than in 1939-1940. PM Valls admitted that one could fear a chemical, or biological attack. (One more reason to annihilate the Islamist State fast!) At least one, maybe two, of the November 13 terrorists are still on the run. The Islamist State gets roughly two million dollars a day from selling oil, at half price on the black market (enabled by plutocrats). That was until the Franco-Russian bombing campaign against oil installations. This week. The Islamist State also makes drugs, and sells them, earning at least half a million dollars a day. One of these drugs is Captagon, an ex-medical drug, related to amphetamines, outlawed since 1986 because it makes people crazy. Attacking terrorists are full of Captagon and cocaine. Makes them fearless. There too, the plutocrats are a crucial link. A few months ago, a Saudi prince was arrested in Beirut, Lebanon. He had six tons of Captagon in his private jet. Captagon costs nothing to make, but sells around fifty dollars a pill. “Keep calm and carry on.” All right, then, that’s just what we’ll do (even though, alas, there is no Churchill to lead us). Despite the common perception, the French are rather docile, rather easy to govern. But they are not complete idiots. Instead, their main flaw is a kind of forgetful frivolity that necessitates jogging their memory from time to time. There are people, political people, who are responsible for the unfortunate situation we find ourselves in today, and sooner or later their responsibility will have to be examined. It’s unlikely that the insignificant opportunist who passes for our head of state, or the congenital moron who plays the part of our prime minister, or even the “stars of the opposition” (LOL) will emerge from the test looking any brighter. As for the population, it hasn’t failed at all. It’s unclear, at bottom, exactly what the population thinks, since our successive governments have taken great care not to hold referendums (except for one, in 2005, on a proposed European constitution, whose result they then preferred to ignore). But opinion polls are allowed, and for what they’re worth, they more or less reveal the following: that the French population has always maintained its trust in and solidarity with its police officers and its armed forces. That it has largely been repelled by the sermonizing airs of the so-called moral left (moral?) concerning how migrants and refugees are to be treated. That it has never viewed without suspicion the foreign military adventures its governments have seen fit to join. One could cite many more examples of the gap, now an abyss, between the population and those supposed to represent it. The discredit that applies to all political parties today isn’t just huge; it is legitimate. And it seems to me, it really seems to me, that the only solution still available to us now is to move gently toward the only form of real democracy: I mean, direct democracy. Funny how the Main Stream Media (MSM), usually busy censoring me, when not outright banning me, is calling to a market certified writer of bedtime stories, instead of a real philosopher. Funny, but typical. In France the wildly respected “La Grande Librairie” shows an unending parade of success authors who are as dumb as they are imagination deprived (I record the show, but find it more boring than washing dishes, a time when I can listen to myself, instead of rich, fashionable idiots). Patrice Ayme: We have to change our philosophical attitude relative to reality. “Radical Islam” is, as its name indicates, and as the Islamist State forcefully insists, the roots (that’s what radical means) of Islam. There are literally hundreds of verses in the holy Qur’an, which guide the Islamist State. Moreover, both taqiyyah (lying for the faith) and the doctrine which says that older verses are overruled by more recent ones, established the hierarchy of values which guide radical Islamism. More precisely, Islam out of the Qur’an, direct and literal is, clearly a call to war against most categories of people. This is neither known, nor, a fortiori, understood. Why? My personal experience is revealing: I quoted the Qur’an many times in comments to the Main Stream Media, and was censored, every single time. This is extraordinary: let’s imagine that I quoted the Bible. Would I be censored? Even the Islamist State does not censor the Qur’an! Instead, the Islamist State applies a strict interpretation of the Islamist doctrine. Thus, one must recognize that Salafism (that is, the way of the old ones), literal Islam out of the Qur’an is not acceptable (not anymore as a strict application of the Bible would be tolerable). Instead of has to promote an Islam submissive to the laws of the Republic and Democracy. As “Islam” means “Submission”, one has just to say Islam is Submission to Republic and Democracy. “Democracy” = People-Rule. It does not mean that an oligarchy of politicians rule. The West has rotten by the head. Plutocracy, austerity, terrorism, the destruction of the biosphere, are just consequences of this general failure. Meanwhile, I will revert to listening to the congenital opportunist morons who take themselves for leaders. Especially the way the presidential idiot ends nearly every single sentence as if he were a little girl of a particularly weak disposition, on the verge of bursting in tears. My own daughter, who just turned six, has a much firmer voice. This is not just about “Jews”. Once one had decided that a category of innocents, here some people one has decided to call “Jews”, who have done nothing, but have been pointed at, should be killed, any other category of people can be killed too, from a similar murderous inclination. Some say that Freedom of Expression means that one can say anything. That’s completely false. There is such a thing as a “Thought Crime”, once a murderous thought targeting innocent people is propagandized, especially out of a context mitigating it. Republican civilization has to strike down such type of expression, and it already does. It is a question of survival of optimal civilization. This rigor has to be deployed against incompatible ideologies, such as Salafism! Maybe, some will suggest, it means one can say anything if it is clearly a work of fiction? Not really: a line has been drawn with evoking some types of crimes against minors. That line was drawn into legislation, worldwide. Try to make death threats against the president of the USA, on line, or in a private group. Rightly so, you will be prosecuted. Actually plausible death threats against anybody will generally result in prosecution. Threatening to kill children and other horrendous suggestions, are, by themselves, crimes. Why? 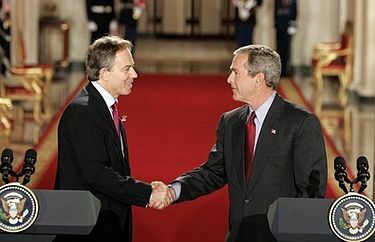 Two reasons: first, they create a climate of terror. That, by itself, is not just an aggression, but an injury, and it can result in fighting, or even death (in diverse fashions). Secondly, floating around horrible propositions is suggestive that to engage in them would be a good thing. In physics, much progress was brought by considering “THOUGHT experiments”. Buridan may have been the first, when he explained the Heliocentric system around 1320 CE. Galileo repeated basically the same idea by pointing out that physics was left intact, deep in the dark recesses of a moving boat. Newton later illustrated that a projectile sent with great velocity parallel to the surface of the Earth would fall around (another dressing of Buridan’s idea). So I want to introduce THOUGHT CRIMES. They already exist, pointwise. In countries which suffered the most of Nazism, such as France and Germany, it is against the law to deny the facts of Nazism. So now I see (on German TV) demonstrators in (some) “Muslim” countries carrying posters saying “Help our Kouachi Brothers”. The Kouachis were the two brothers who attacked Charlie Hebdo under order from the co-founder of Al Qaeda, Ayman Al Zawahiri (the USA has a 25 million dollar reward for him). Al Zawahiri’s wife was below part of a house in Afghanistan demolished by an American bombing. She “refused to be excavated” because “men would see her face”. While the rescuers were arguing with her, her unhurt 4 year old daughter died from exposure in the very cold Afghan winter night. Zawahiri said that was good that the little girl died, because she won’t be an orphan. You see, there is such a thing as absolute morality. It’s given by the ethology, the behavior, which enables the survival of the species. It comes straight from our Creator, tens of millions of years of evolution of our species. Contradicting this: immorality. Human females had faces human males could see, for millions of years. By refusing this, and imposing that denial of reality to others, with lethal consequences, Muslim theoreticians of that fanatical persuasion make themselves lower than animals, in the sense that they do not allow, not just our survival, but even that of the species. Bin Laden’s official biographer admitted that Zawahiri was the “real brains” behind Al Qaeda”. Zawahiri, an Egyptian, entered the “Muslim Brotherhood” at 14. There we are. It ought to be a crime to expose young, 14 year old people to criminal thinking. Zawahiri is not stupid: he is a trained surgeon. But he was imprinted at such an early age into (violent) Islamist verses and commands. See the Hadith 41; 6985, one of many, explicitly about killing Jews. One ought to criminalize criminal imprinting. And first of all that of youth. One has the right to criticize an idea, a concept, a religion, the powers that be, a system of thought, an emotion, or a system of mood. But one does not have the right to attack people physically and to incite hate (so that others, in turn, will be inclined to attack the people who are hated, physically). Proposing that everybody good will be rewarded and the miscreants punished only after the Jews will be killed seems to me to be hate speech. From Allah’s Messenger, that is, Muhammad (supposing it was faithfully related by Sahih Al Muslim). It is to be feared that, left to be literally interpreted, this statement will bring many a Jihadist, to conclude it is a religious duty to kill the Jews. Can the statement be mitigated? Sunni Islam has no professional priests (supposedly). Once I met a real blonde in New York City. A real blonde in several senses of the term. She told me she switched from fanatical Catholicism to fanatical Islam, not just because she fell in love with the local Imam, but because Islam had no priests (and she probably disliked their moral commands, and lack of balls, to put it as it was, between the lines; she is still at it, decades later, teaching Jihadism in the greater New York area). The lack of professionalism in Islam teaching means that, if an Imam mitigates Hadith 41; 6985 (above), a terrorist can show up, and claim that the Imam is an apostate (he has “left Islam” and thus, ought to be killed). Solution? Have agents of the Republic at the ready, supporting mitigating Islam teachers (official Imama, paid by the State; those already exist in Belgium). 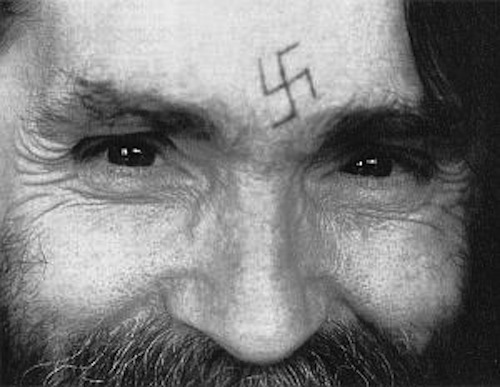 Each time a fanatical Muslim shows up, loudly interpreting Muslim sacred texts such as Hadith 41;6985, kill the Jews, literally, and making threats, have them arrested, and put in isolation in prison (so that they cannot engage in proselytism; Salafist proselytism connects with organized crime, and is extremely well financed by the oil propelled, feudal terrorist powers of the Middle East, such as Saudi Arabia). The notion of THOUGHT CRIME has proven useful against a resurgence of Nazism. Denying the facts of the Shoah is enough to send someone to prison in Franco-Germania. As humanity depends ever more crucially upon truth regarding basic facts, criminal thought systems ought to be crushed. This is the most basic way in which Voltaire’s command to “crush infamy” has to be implemented. Not so: I am for all thinking, and feeling absolutely anything, as long as it does not result in severely adverse consequences to others, or the human species’, or intelligence’s prospects. “In France, one can draw everything, including the prophet,” Justice Minister Christiane Taubira said, and she is right, and I approve. We depend crucially of truth, and increasingly so, as we are becoming like gods, with ever increasing powers. But we don’t want to be like Darth Vader in Star Wars, and blow up planets, just because we can. Actually, Darth Vader is modelled after the god of the Bible and Qur’an, getting to order whatever atrocities, just because he can. I advocated setting up a Ministry of Truth. Ministry of Outrageous Potentially Lethal Lies maybe a better concept. For example, when fossil fuel companies pay for disseminating lies about the gathering atrocity (I weight my word) they are contributing to, by some of their actions, they ought to be prosecuted. Any human organization that is large enough (so I am deliberately excluding small public associations, including small and medium companies) has a fiduciary duty. 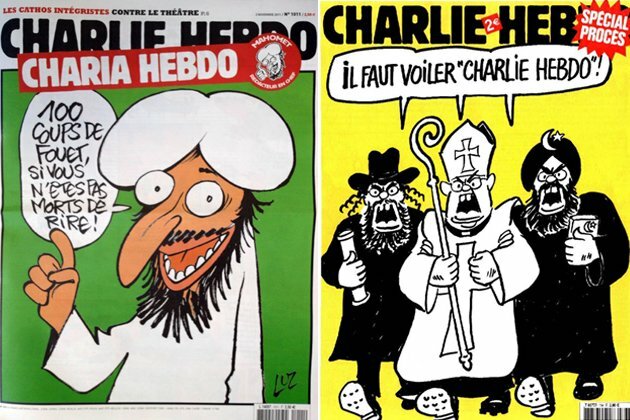 Example: the Pope just supported, in context, the attack against Charlie Hebdo, and against a Jewish supermarket. At this point, a week later, we are talking about two dozen people dead, and many grievously wounded. A plot against Belgian police and justice by Jihadists, related to the French attacks, has forced to protect police stations and courts with special forces and mobilize the army to help (for the first time). Even the Sidney Herald recognizes that: “The Pope Sides With Muslim Faithful in Charlie Hebdo Debate…” Faithful Muslim? It is more like fanatical Muslim. The Pope is an accomplice of murderous Jihadism, after the facts, in a horrendous context. That makes him the most famous fanatical propagandist at the head of the largest institution. He should be prosecuted, at least intellectually. Note: 1) Jews were “cursed and changed into rats” in Sahih al-Bukhari, 4:54:524, Sahih Muslim, 42:7135, Sahih Muslim, 42:7136.